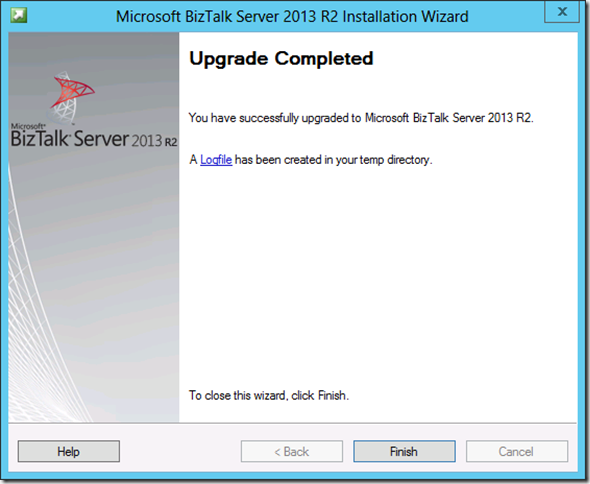 This is the first in a series of posts exploring What’s New in BizTalk Server 2013 R2. It will also serve as the index of the series, and contain links to all of the posts to come. We’ve been pretty busy over here at QuickLearn over the past few months, as many of you may have noticed. We’ve released our BizTalk Server 2013 Administrator Deep Dive class, and have been hard at work on our Azure BizTalk Services Fundamentals class (coming as soon as September 2014). 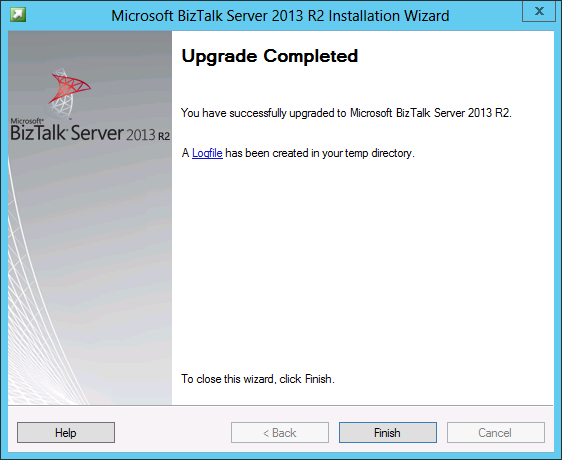 Meanwhile, Microsoft has released BizTalk Server 2013 R2. As a result, I am starting a series in a similar vein as my What’s New in BizTalk Server 2013 series, to uncover those new features in 2013 R2 that will make your life just a little bit easier. However, this time around it will be a weekly series that will occasionally take breaks to share time with posts about Azure BizTalk Services. All of that having been said, I’m going to get upgraded, and then jump right in to check out one of the things I’m most excited about. I’ve got to admit that I’m a huge fan of Microsoft Azure Service Bus. Not only that, but I’m a big fan of the .NET API which really feels oh-so-right and makes allowances for multiple patterns for synchronous vs. asynchronous code. That being said, a big pain point with Service Bus has been using the Access Control Service for fine-grained security – which really can be the opposite of intuitive – especially when the concept of an identified user isn’t really needed or important to your integration scenario. Thankfully, ACS isn’t the only security model that Service Bus supports. 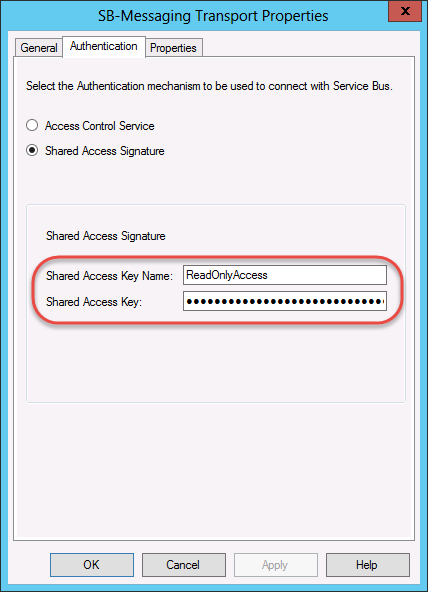 We actually can also use Shared Access Signatures for authentication. SAS authentication allows you to generate a key for a specific fine-grained entity within Service Bus for which you want to authorize access (e.g., Listen access for a given Queue), and then from that key you can generate a signed token that expires after a period of time. This token need not be borne by a specific user, it need only be presented to be accepted. 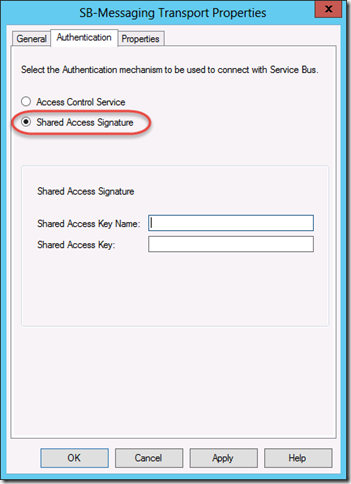 While all of that could be filed under mildly interesting, the important thing to note is that unless you have BizTalk Server 2013 R2 installed, you will be limited to using the ACS model for Service Bus authentication and authorization. 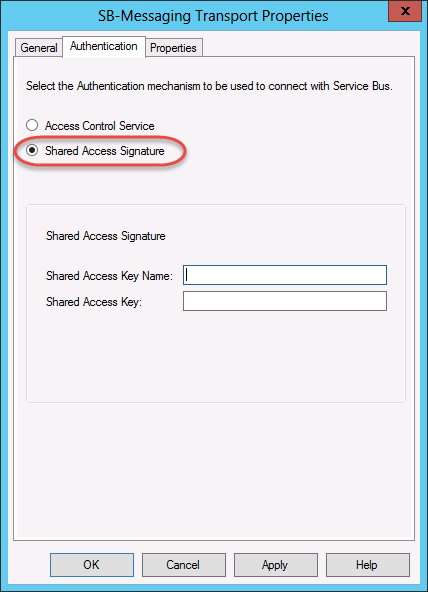 Knowing that you can use Shared Access Signatures is one thing, being able to put that into practice is another. If you haven’t used SAS authentication/authorization before, you’re in for a treat. This section allows you to define access policies (e.g., read-only access, or Listen permission for the queue shown in the screenshot), and then generate signing keys that can be used to generate access tokens granting that level of permission. It’s nice to know that this can all be done through the web UI if needed, but nothing here seems to relate back to the first property that you may have noticed when examining the settings for the SB-Messaging adapter (i.e., the Shared Access Key Name property). In reality, it’s asking for what the UI calls the Policy Name. 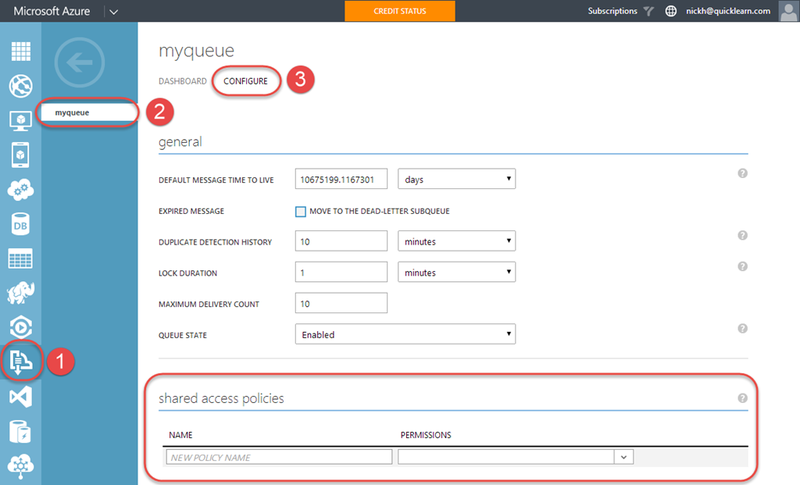 So what would the adapter configuration look like for this Shared Access Policy? Yes, the purists will note that I did not use a MesagingFactory. Why? Because this is not going to be a long-lived client, and it felt nicer to type. However, given a real world example, MessagingFactory will usually be the correct choice. So let’s run down what I have while that message sits in the queue. I have a one-way Receive Port with a single Receive Location. 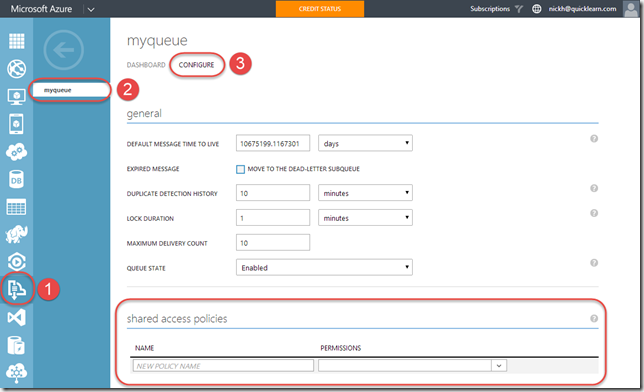 This Receive Location uses the SB-Messaging adapter pointed at myqueue and using SAS for authentication (per the settings in the screenshot above). I have a Send Port subscribing to all messages from this Receive Port. This Send Port is using the FILE adapter, because I’m writing this late at night and am running out of creativity. Am I impressed that this traveled through a Service Bus Queue to arrive on my file system? No. I’m just happy that it authenticated using SAS token along the way, and I didn’t have to touch ACS at all during the process. One hope that I have for this new functionality, is that it will see people moving beyond using owner for everything. Even though it’s something that I would find myself doing for demonstration purposes, it is also something that made me cringe to see in real life. It’s a lazy and even dangerous thing to do in some cases. This is really just a small flavor of what’s to come. There are some pretty big changes that aren’t getting a lot of fanfare at the moment, but I hope that will change as more and more people upgrade and discover what is waiting for them under the covers.